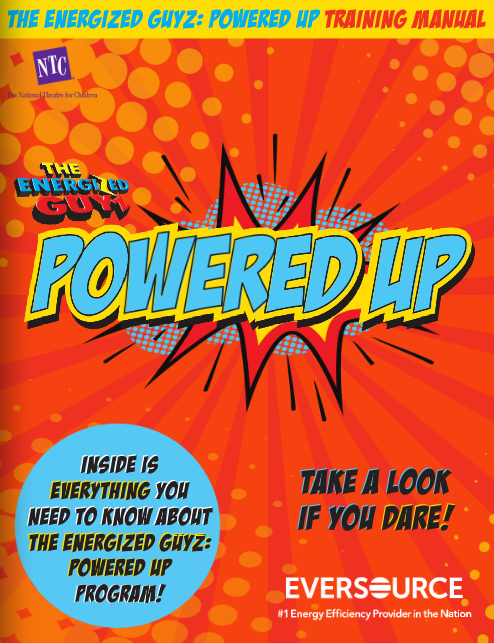 The Energized Guyz: Powered Up is a 35-minute assembly about energy efficiency for students in Grades 4-5. Two professional actors perform a series of comedic and educational sketches on the topic of conservation. 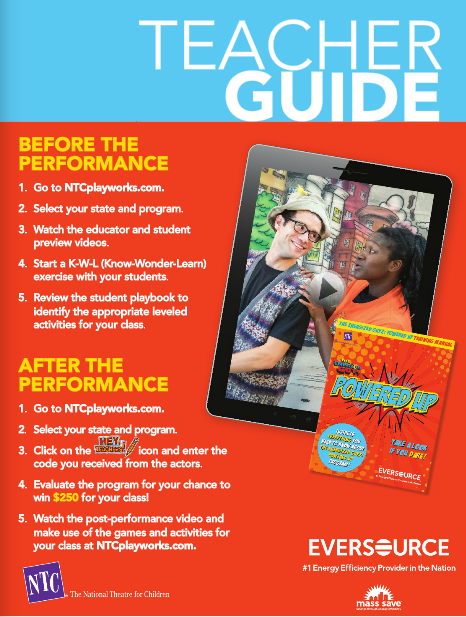 The actors use audience suggestions, participation and improv to shape a unique story with every in-school performance. The program includes grade-appropriate playbooks for each student, comprehensive teacher guides, internet activities and classroom posters. "The students absolutely loved it! It was a really fascinating performance and fits in really well with the upcoming Next Generation Science Standards that will likely be adopted in the next few years. Thanks for making it memorable for our students!" "The program was outstanding!! The students were very engaged and returned to the classroom excited about the presentation and sharing their thoughts about how to save energy in school and at home. They asked to add another job to our Classroom Helpers poster - someone who is responsible for shutting off the lights when leaving the classroom! Thank you for sending us two amazing performers awhile presented in such a fantastic way!" "The Energized Guyz were able to capture the audience (including students, teachers and additional staff) attention through an animated and engaging performance. More importantly, I believe students walked away more environmentally conscious and as the teachers follow up with the material sent out, students will retain the information presented. Kudos!"